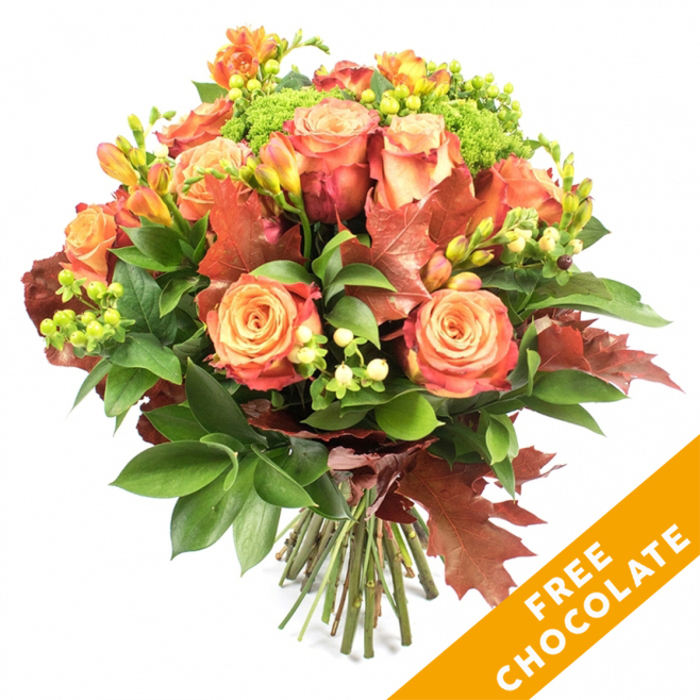 Need a bouquet that will capture the mood of the season and bring it inside your home? Look no further! 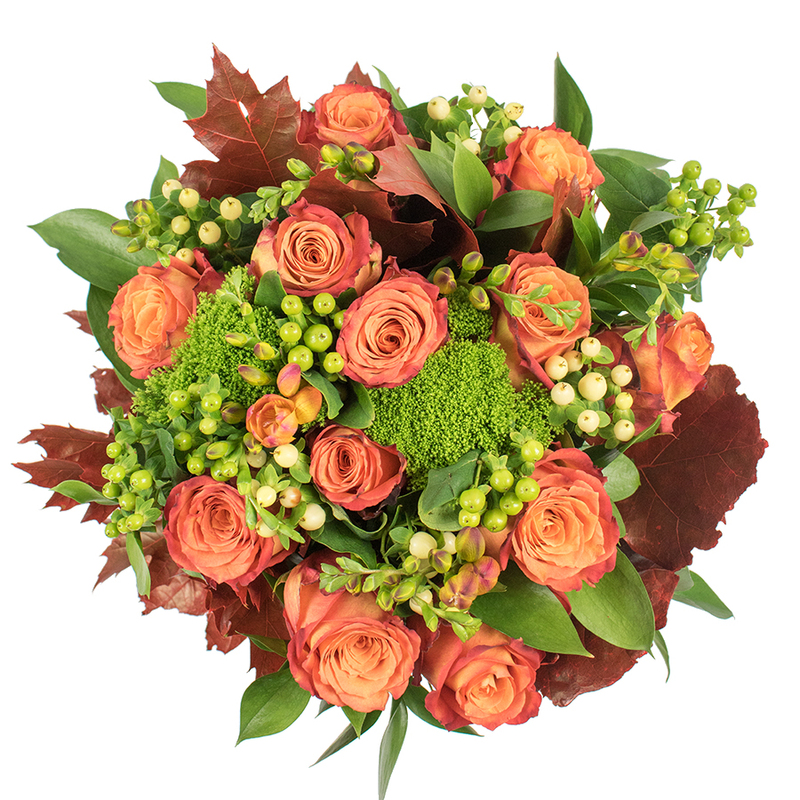 This stunning bouquet made of exquisite roses in orange shades, fresh freesia and hypericum is the perfect gift to represent joy, warm feelings and thanks! My wife was thrilled with the bouquet from Handy Flowers that I ordered. She said they were the best and most incredible looking flowers she'd ever had, which is very high praise from her. My husband ordered the flowers from the website and instantly received the confirmation email so we knew the order had been accepted. It is such a relief to know there is a professional florist out there that we can trust! Very many thanks for the spectacular bouquet! Much appreciated! Will definitely order again! Delivery was made this morning and the flowers are great! I didn't expect such a stress-free and delightful experience. Definitely give them a try! I was told that the flowers were stunning. Ordering was very easy and the staff was pretty friendly. 5 out of 5 stars! Exquisite! Arranged in the most perfect way and delivered with care!